This year, rather than do a Halloween special, we thought we’d dedicate the whole of October to doing scary movies, and in the first of these Halloween podcasts we review Night of the Demon (or Curse of the Demon as it was known in the United States, for no real reason). 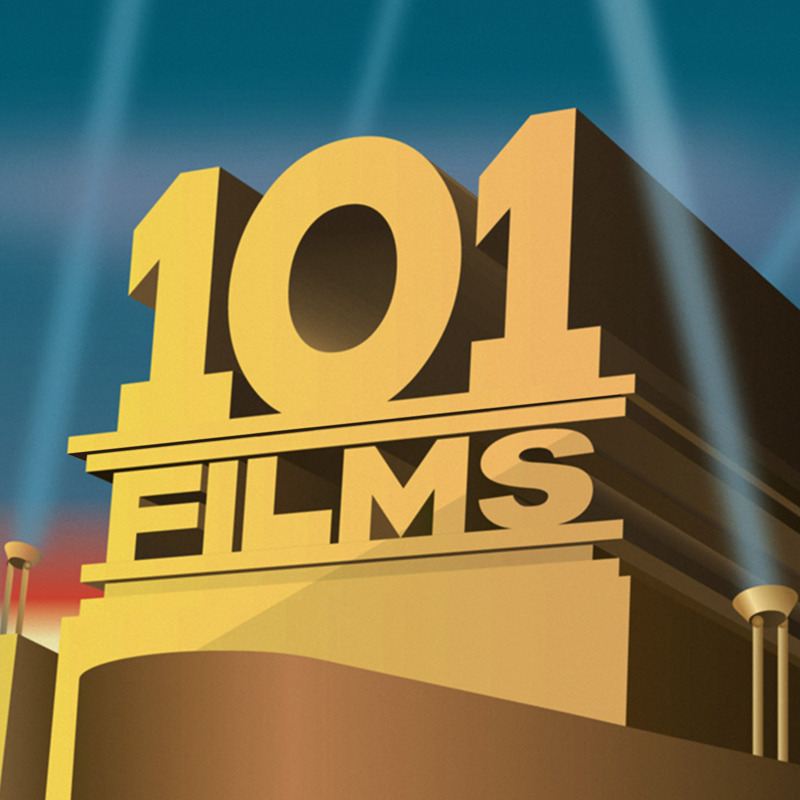 Ian first saw this film as a kid, and he was keen to cover it for 101 Films as it really stuck in his mind. As luck would have it, the BFI were screening it as part of their Gothic season, so we excitedly trooped into London Town for a night of witchcraft and intrigue. As an unexpected treat, Peggy Cummins, who plays schoolteacher Joanna Harrington in the film, appeared before the screening, leading to rapturous applause from the audience. She’s in her eighties now, and she seemed pretty overwhelmed by the response, bless her. A chap from the BFI was also on hand to pontificate about the film before the showing, noting in particular that Prof. Julian Karswell (played brilliantly by Niall MacGinnis) is a middle-aged man who lives alone with his mother hint hint nudge nudge saynomore. It reminded me of a screening of Gilda I saw a while back, in which the introducer announced that according to modern interpretations of the film, everyone in it is clearly a rampant homosexual. This interpretation certainly made the film’s odd ending much more understandable, but ever since watching The Onion Looks Back At Jaws, I can’t help but suppress a smirk whenever an academic tells me that someone in an old movie was obviously gay. Anyway, I found myself totally entranced by Night of the Demon, and I’d highly recommend it. It’s unlikely to be considered ‘scary’ by today’s standards, and the ‘Demon’ special effects have aged badly, but it’s an undeniably creepy film. 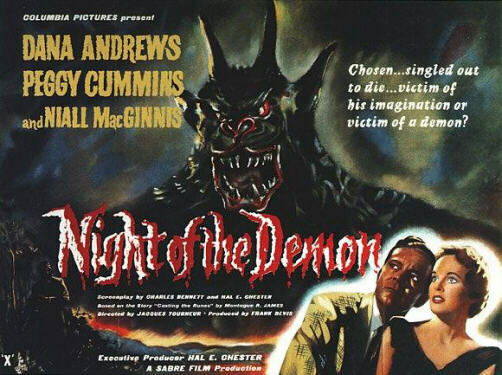 There’s a long-running debate (which we touch on in the podcast) about whether the demon should have appeared at the beginning of the film – the director purposely only wanted the demon to appear at the very end, or not at all, in order to keep the audience guessing as to whether it actually existed, but the producer decided to edit in footage of the titular beast right at the start in order to draw the audience in. Basically it comes down to whether you’re a fan of Columbo or Poirot – do you prefer to see the killer at the beginning or just at the end? Last but not least, our Secret Sponsor for this week is @ObsoleteGamer (http://obsoletegamer.com), where you can read some of our old posts from 101 Video Games That Made My Life Slightly Better. If our review has piqued your interest in the film, you can buy the Night of the Demon DVD from Amazon by clicking here (and we get a little bit of cash if you do – thanks in advance). In the first of our Halloween specials, we look at Night of the Demon, a classic 1957 British Horror movie with ropey special effects but a gripping storyline.